The 2017 NLL season is now over. Many of the players and some of the coaches have moved on to summer ball or the MLL (or both). The GMs may take a little time off but not much – they’ll be checking out MSL and WLA games all summer as well as watching a lot of game film to figure out what their team needs to change, if anything. Just to help out those GMs*, here’s my postseason review for each NLL team. We’ll start in the East and get to the West tomorrow. Anthony Cosmo has hinted that he may be retiring and if he does, goaltending will be an issue. Davide DiRuscio was fairly solid as a backup in 2015 and 2016 but was shaky in 2017. Is he ready to be a full-time starter? It wouldn’t surprise me if the Bandits do with DiRuscio what the Stealth did with Eric Penney a couple of years ago – give him the starter’s job but get a veteran goaltender to mentor him, back him up, and take over if needed. GM Steve Dietrich might even be able to convince Cosmo to stick around for one more year in that role, though I wouldn’t bet on it. Ryan Benesch and Pat Saunders played with a few other lefties in 2017 but Bryce Brochu was dropped to the practice roster in March and Daryl Veltman was released. Blaze Riorden played nine games but spent January on the practice roster and March on the IR. If he’s on the roster for the whole season, he provides good secondary scoring but the Bandits may want to look for another lefty forward. With Jones, Malcom, Dhane Smith, and Steenhuis, the right side is set. Update: Mitch Jones is listed as a righty on the Bandits website but he’s actually a lefty. So a left side of Benesch, Saunders, Jones, and Riorden is pretty solid, but maybe another righty is what the Bandits need. Thanks to @wingeater for pointing out the mistake, and to Bandits writer Steve Bermel and Bandits Director of Operations Scott Loffler for confirming. The Bandits obviously had a terrible 2017 season and part of that was losing Dhane Smith and Ryan Benesch for four games each. Cosmo had the worst season of his career in terms of GAA which didn’t help. But if they can stay healthy and get good goaltending, a few tweaks can get the Bandits back on track. This is not a team that needs to be blown up and rebuilt. So what needs to change in Georgia? On the floor, pretty much nothing. They have the best offense in the league, reliable goaltending, and solid defenders. The most difficult part is going to be figuring out how to squeeze Jesse King back in there, which is a problem any GM would love to have. King is from BC – could the Stealth find a place for him on their left side? Possibly but what goes the other way? The Swarm don’t really need anything, and Vancouver doesn’t have any first-round draft picks until 2020. Maybe an eastern guy like Jon Harnett plus a couple of second round picks? Alternatively, I mentioned above that the Bandits could use some help on the left side, and they have the first overall pick this year as well as their first round picks in 2018 and 2019. 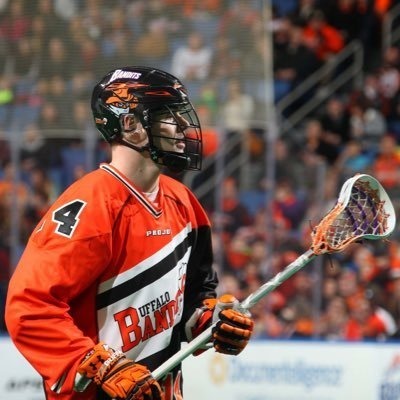 I’ve also seen discussions on the IL Indoor message board that the Rock might consider signing UFA Johnny Powless, which would free up a spot on the Swarm for King. I’m not buying it. Powless was one of the stars (but not the star, a role he didn’t seem to like in Vancouver) of the Championship-winning team, a team that could be really good for years. Would he be willing to give that up just for a shorter commute to games? Remember, he was willing to commute to Vancouver. The Swarm are also the youngest team in the league; I don’t think there’s a single player on the roster who you would say is on the downside of his career. As I said, expect the Swarm to be very good for a number of years to come. Off the floor however, that’s a different story. They managed to pump up their attendance during the playoffs, but we’re still talking 6-7k. If they can keep those extra couple thousand fans into the regular season of 2018, that’s great, but the idea of bringing a hip-hop star in to play halftime at every game is just ludicrous. if having such exciting players and winning the Championship isn’t enough to bring in the fans, I’m not sure what else they can do. The Washington Stealth had that same problem a few years ago, and we know how they solved it. After a second place finish and a trip to the division finals in 2016, the Black Wolves took a bit of a step back in 2017, finishing in third and losing in the first round of the playoffs. Their offense dropped slightly, from 229 goals scored to 220 but their goals against ballooned from 212 to 244. Offense wasn’t their problem. Evan Kirk was the NLL Goaltender of the Year in 2016 but his GAA jumped by a full point this season. For a team that played as many close games as they did (9 games in 2016 and 11 in 2017 were decided by 1 or 2 goals), that was enough to sway their win-loss record from 10-8 to 8-10. Season-long defense problems are rarely the sole fault of the goaltender so some defensive changes may be coming. Kirk has shown in the past that he can match up to any other goalie in the league, so I expect a bounceback season from him in 2018. Before this season, you might have said that any team with Dan Dawson and Matt Vinc on it has a good chance of contending, but that doesn’t appear to be the case. Dawson missed three games in early January but didn’t seem like himself all season long. Those games were missed due to “personal reasons” which if I recall were never disclosed, so perhaps he had something going on all season that distracted him, or maybe he was hurt a little. When Cody Jamieson is out for the year and Joe Walters is unable to play because of MLL commitments, you would hope that someone like Dawson would take the reins and lead the team, but 2017 was Dawson’s lowest-scoring season since 2003. 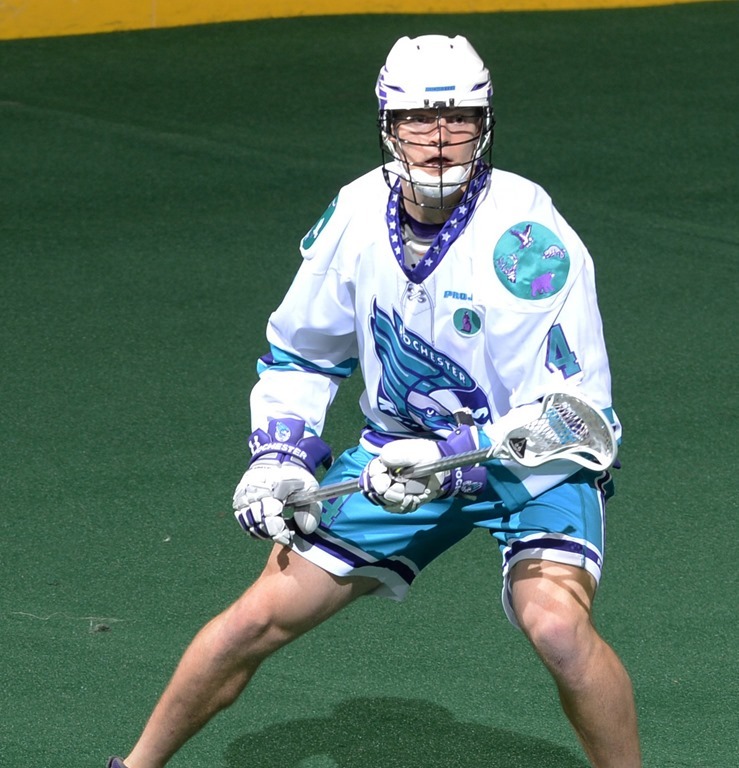 Dawson picked up 54 points in 2017, good for third on the Knighthawks. This is the first time since 2003 that he hasn’t finished first or second in scoring on his team. Instead, it was Joe Resetarits who stepped up his game, having by far his best NLL season and leading the team in scoring with 66 points. But look at how the scoring leaders on the 2016 Knighthawks did in 2017: Jamieson: out. Dawson: 40 fewer points. Keogh: gone. Walters: out. Resetarits as I said stepped up. Vitarelli: about the same. Self: gone. Point: gone. Next is defender Scott Campbell with 12 points and then we’re into single digits. Rochester actually gave up 6 fewer goals in 2017 than 2016, but scored 25 fewer (and 27 fewer than any other team in 2017). But for all this talk about how their offense was terrible, they finished with the same 7-11 record as last year, and that was with Jamieson and Walters and a healthy Dawson. But Knighthawks fans have to be excited about the future, as guys like Kyle Jackson, Dan Lomas, and Josh Currier impressed in their debut seasons. And thank goodness that they did, or we’d be talking about the 2017 Knighthawks among the worst offensive teams of all time. Wait, we already are – only ten teams in NLL history have averaged fewer goals per game. But we shouldn’t let that take away from the optimism about the new kids. Part of me wants to say that Dawson is 35 and so he may not be able to return to his 100-point form, but we’ve seen what guys like John Tavares and John Grant can do in their late thirties and early forties. Not many players can be compared to JT and Grant, but Dawson can. If he can return to form and with the return of Jamieson next year, the Knighthawks could also bounce back. But if they want to contend in 2018, they’ll have to bounce back higher than before and as any physics student will tell you, that’s not possible without an injection of energy. Hopefully Jackson, Lomas, and Currier can provide that energy. In 2016, the Rock finished last in the East and out of the playoffs. Then both Josh Sanderson and Colin Doyle retired. Then Rob Hellyer had surgery and was going to miss the entire 2017 season. So as expected, the Rock finished second in the East and went to the division finals. Obviously Tom Schreiber was a big part of their success in 2017. The likely Rookie of the Year picked up 94 points to lead the team, but other rookies like Reid Reinholdt, Latrell Harris, Jordan Magnuson, and Challen Rogers also played big roles. As a Rock fan, my biggest worry is that Schreiber thinks to himself “Wow, that was a lot of fun. Oh well, back to the MLL” and never plays in the NLL again. I don’t think that’ll be the case; he did say that once he made the Rock roster, he was committed to the team and would play as long as the season went on, and he did. Aside: The reigning MVP of a league missed some games the next season because he was busy playing in another league. I wonder if that’s ever happened before in any sport. Unlikely but then lacrosse is unique in that there are two leagues that are both at the highest level. It’s not like there are two different top-level pro hockey or football leagues (in North America); that hasn’t happened since the XFL in the 80’s (if you want to count that as “top-level”) or the WHA back in the 70’s. Assuming Schreiber does return in 2018 and that Hellyer is back and healthy, the Rock might be a bit heavy on the right side. They used Beirnes, Caputo, Hickey, Lintner, and Schreiber on that side this year. Adding Hellyer and dropping Caputo to the practice roster still leaves five every-day right-handers. I kind of like Lintner’s play – he’s fast, agile, and dynamic – but he’s the low man on that totem pole. He’s too good to stay on the practice roster so he may be traded. This entry was posted in Buffalo Bandits, Georgia Swarm, New England Black Wolves, Rochester Knighthawks, Toronto Rock. Bookmark the permalink.